ershellb, angelabryan20, peaceandlove826, knottiec8fb013120f92f97, knottiea9fcc99d41b2cc09 and 158 others joined. VThokiema, kmac407, levyk101, Gracielleanne, epfbsf08 and 3 others earned the Sixth Anniversary badge. knottieef142fea41ab0e2d, knottie2483edffcf481f61, craver827, knottiefefcdf179e93e90f, knottie283c6a3c35315d25 and 112 others were promoted to member. olester, jackielc15, teejopee, levyk101, kadyandkenny51917 and 10 others earned the First Anniversary badge. Thanks for the update! Prayers that they keep on growing. Thanks for the update! Praying the babies stay healthy! Thank you for updating!! So glad everything is holding as is! And yay for progress on weight gain! That's awesome hope you can keep cooking past Christmas!! Thanks for the update! Keep growing little ones! 15 Months TTC....2nd Cycle of Letrozole - Success! i am already on a "hospital schedule"
im pretty frustrated....... she said she will make another judgment again to see if I need hospital or stay home on Friday.. we will be 29 weeks then. Whatever the case. Grow grow my loves!!!!!!!!!! Let's try to hit 2lb12 oz by then!!!!! How frustrating! Glad you get to stay out of the hospital a little longer though. Grow, babes! Ugh! That is frustrating! I'm glad that all is staying the same with the blood flow levels! Sounds like they are growing and gaining great too! and 29wks is awesome! Yay!! 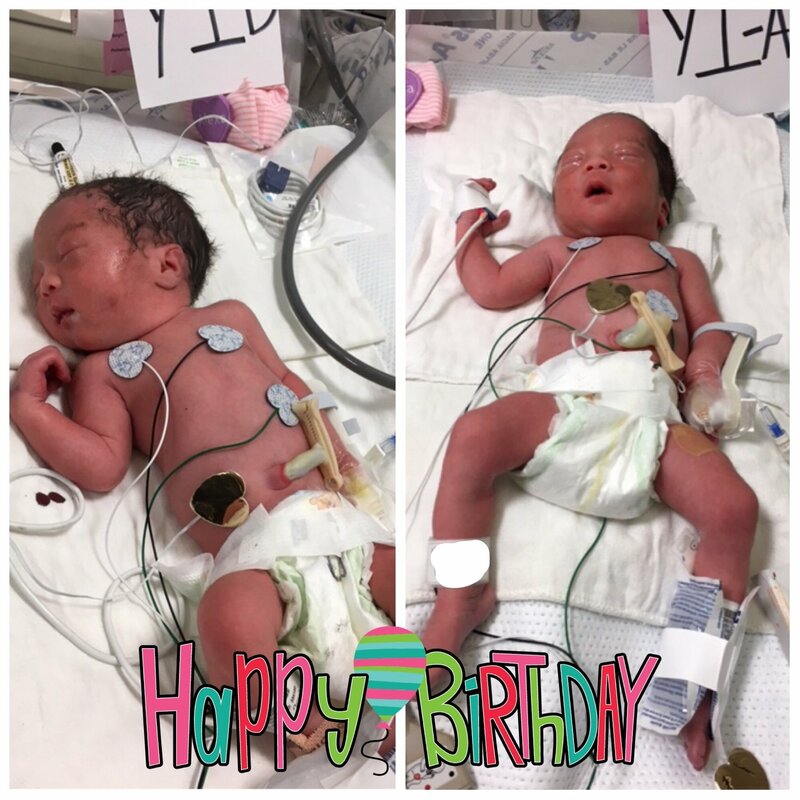 Glad to hear the babies are still healthy and growing! You're doing good! Great to hear the babies are growing! Also great that you have a MFM dr that you trust through all this. Hoping the growth continues to be steady! Agree that's a very frustrating situation but it sounds like your MFM knows what she's talking about & sounds like you're in good hands! Praying for continued growth & health for all three of you!! How was your appt Friday? Are you home for the holiday?? Thinking of you today! Hoping your little ones are still cooking! 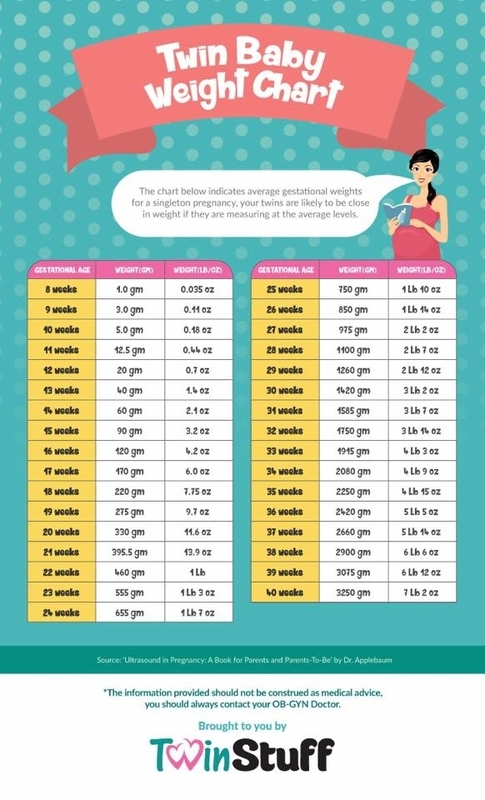 You're so close to 30 weeks!!! thanks for thinking of us!! we did get clear to stay home for the holidays last Friday yay. but they are growing... evenly growing on their growth curve and not falling behind... !!!! Come on girls!' Keep this up! today we saw MFM again..
she said: " OH GREAT! i actually came into the office on 12/31 to see if you were in the hospital yet and delivering.. glad you're not!! its amazing isn't it?!" she cleared me to go home again!! but follow up as usual. Getting close... same issues... she hopes that we can "calculate a good day" to deliver so the babies can get another round of steroids 2 days before delivery. But one day/ one week at a time right now. Its this few weeks now for us! baby B stayed the same at 2lb8 but she doesn't seem concerned.......... come on little girl. GROW GROW BABIES!!! great update! I'm so glad things seem to be moving down a steady, positive track. Grow babies!! Thanks for the update, mama! Glad to hear you have more time at home! Yay for positive updates and another time being sent home!! So happy your girls are hanging on for so long! Grow babes, grow! thanks for the update, glad you are still able to be home and that the babies are still growing. Prayers that they continue to grow. OMG WE'VE MADE IT TO 32 WEEKS 4 days today!! officially admitted on hosptial bed rest for constant monitoring. Oh and apparently I am having pretty regular contractions....I told my docs I wanna make it to 1/30 which is 34 weeks 3 days. They think I'm a bit optimistic but hopefully!!!! baby B did not really grow in over a week and since 2 weeks ago they have both been slowing down in growth. Ahh..so happy to hear those babies are still in there! I've been praying for you and will keep on! Yay!! So amazing how far you've made it with those ladies out of the hospital!! Hope your stay is pleasant and you can keep cooking for as long as possible! @mrsyimster great news! I just had my first continuous monitoring...it was only 24 hours but I hope your twins are more cooperative with the monitors than I was! You have my sympathies about that part. Fingers crossed that you make it to your goal date but in any event every extra day is a great thing. Best of luck and sending hopes and wishes that they have one last strong growth spurt before you meet them!! Grow little babies, keep on cooking!! @mrsyimster Thanks for the updates, glad you have made it this far, fingers crossed that babies keep growing and that you make it to your target date. I love how upbeat you are about this! You're totally rocking it! Fingers crossed for 1/30. It totally seems manageable when you think that its only 12 days away (well, the day is almost over, so its more like 11). I'm going to take your lead and try to be more positive! Love the countdown, mama!! So close!! we are delivering on hopefully Wednesday morning and no sooner!!!! mfm said no delivery today but she is watching them.... she does not want them in another weekend. Just a few more days! T-3!!! so nervous, worried and scared!!!!!! And excited y'all!!!!! how exciting to be so close!! I hope everything goes as smoothly and seamlessly as possible for you. Don't be scared, you've got this! How nerve wracking and exciting to meet your babies so soon! I'll be thinking of you! How exciting to know the exact date you will meet them! Hope your excitement will overshadow your nerves as you get closer - the doctors and nurses are monitoring you closely so don't be afraid, everything will be fine and soon you'll be kissing their little heads as you hold them!! You're doing great! I'm so excited for you! How exciting!! You've got this, and it sounds like your little girls are ready to come too. Thoughts and prayers are with you this week. So excited for you & your little family! !